Toyota Etios has manages to speed up the sales of Toyota in India as it has proved to be the highest selling car from Toyota India’s stable and significantly improved its overall volumes in Indian market. 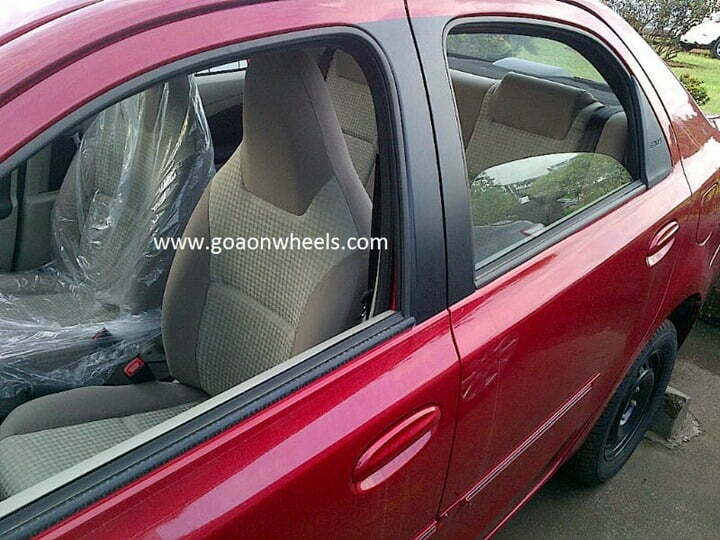 However, Etios is not at the Ace position in its segment because there are many areas where it can be improved. The segment leader Maruti Dzire sells in far larger numbers compared to Etios sedan. To gain more volumes in the Etios segment, Toyota has added some improvements to the 2012 Toyota Etios sedan which now comes with beige interiors on the top end trims. 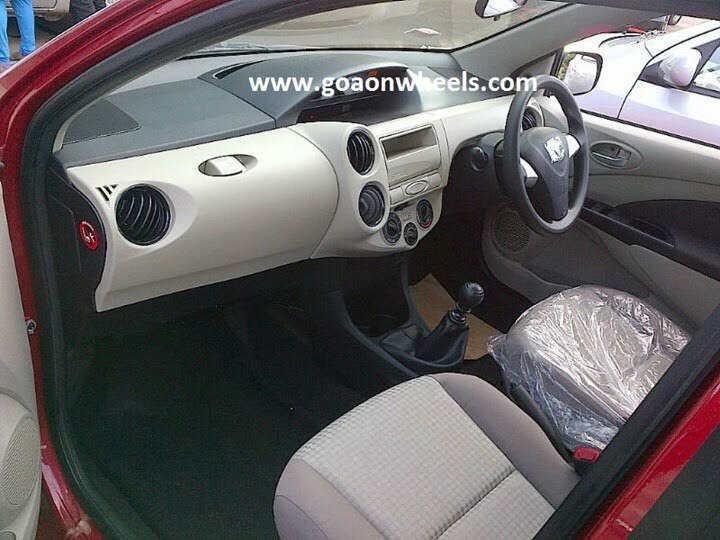 As per the recent spy-pictures shared by our fellow blog Goa On Wheels, Etios has introduces much more premium looking interiors in the new Etios Sedan. The Etios sedan gets many new improvements based on the feedback from the customers after which Toyota has decided to improvise it. Some of these improvements include better sound-proofing and improvements in the NVH levels by extra insulation material in the car. 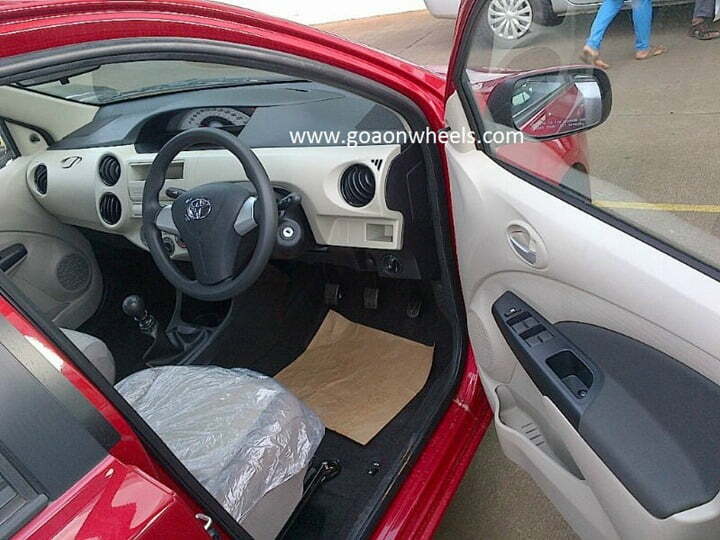 As per the pictures of the new car, the still maintains its simple and plain looks with almost not use of chrome on the inside except for the inside door handles. The gear knob, AC vents, etc. all look quite simple and plain in term of styling. The dashboard is now dual tone with beige and grey combination which also seems quite simple and plain in totality when compared to cars like Maruti Swift Dzire. However the areas which look much improved are the door trims, fabric upholstery and overall colour tone of the cabin with the seats giving a light and airy look to the car. The cabin now feels more full of light and spacious besides no change in the size of the interiors. 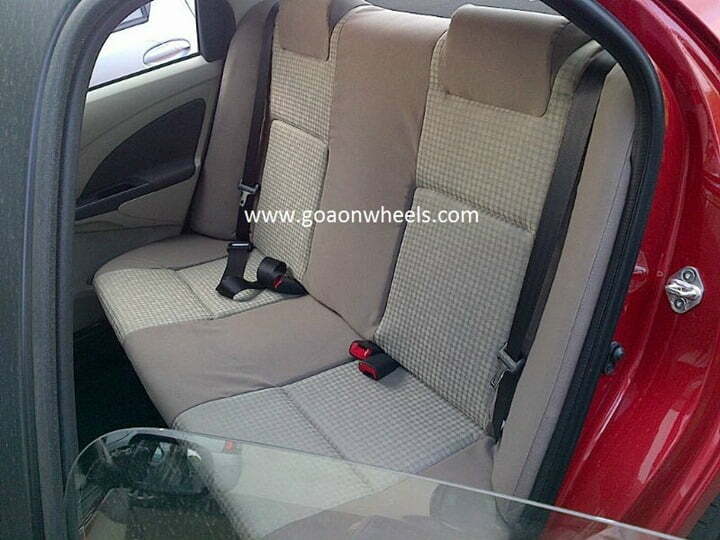 To keep the cost of the Etios series low, Toyota has designed the head restrains as fixed with the seats both at the front and the rear which is same in the new version as well. In totality, this small improvement in the Etios may help Etios attract more buyers towards it as it is also one of the most spacious and fuel efficient cars in its segment which comes with reliability and quality of Toyota.